After setting up your techpack, you can start adding your design details and components. On Techpacker, details are inputted as "Cards". In this chapter, we will go through the card system and how to add cards. For techpacks, you need to handle a variety of components, such as design details, artwork, materials, and measurements. Each component is inputted as separate "Cards" with their own specification. Just like a folder, each component has its card folder to store all relevant descriptions, specifications, comments, and conversations. You can easily find details by opening the card; at the same time, all comments inside a card will be kept as records. On the main dashboard page, you'll find 3 columns representing different card types - "Sketch", "Material" and "Measurement". Material and Measurement cards have Bill of Materials (BOM) table and Point of Measurements (POM) table designed for materials and size charts. We therefore highly recommend creating cards on proper card column. When you click the pink "+" button, there is an input field for naming your card.Then click "CREATE" or pressing enter, to generate a new empty card (see image below). If you already have a bundle of images of your style, you have no need to create cards one by one. Instead, you can select multiple images and drag them to the dashboard. The images can be PNG, JPG/JPEG, AI or PDF and cards will be generated with their file names (see image below). 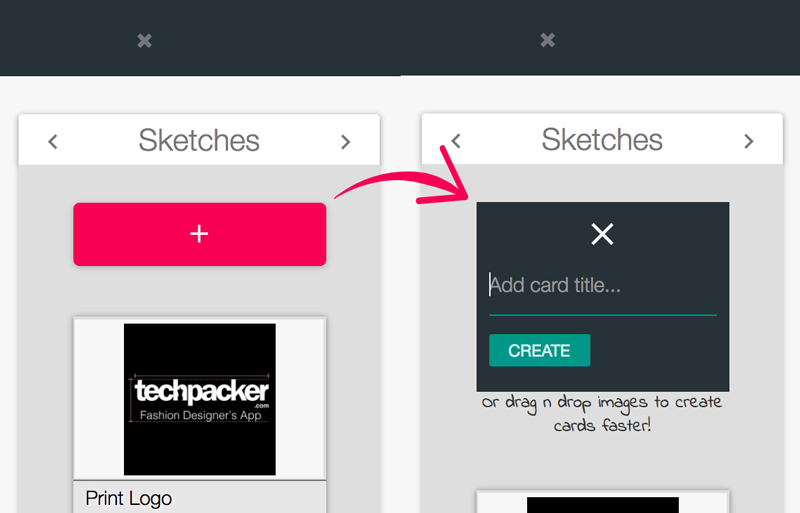 Instead of cropping on Illustrator/ Photoshop/ Screenshot, you can directly crop ONE image into several cards on Techpacker. 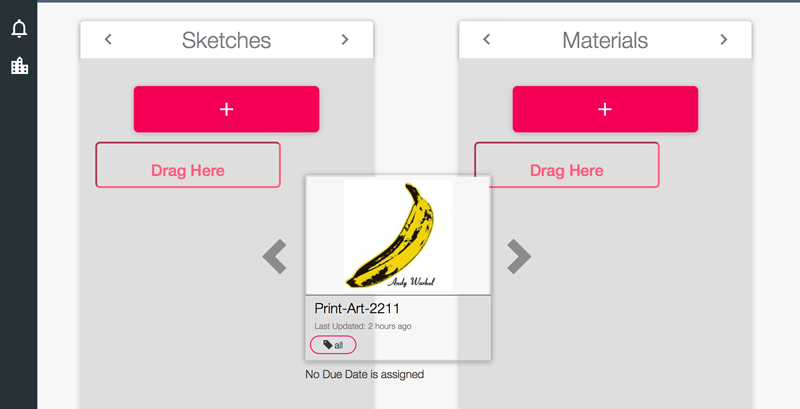 First, drag your desired image and drop it to the cards dashboard (step 2 above). Then you will be prompt to create as many cropped images as you desire. Finally, click the Add as New Cards buttons to save. Watch video and learn more. In case you have added cards to the wrong column, you can also switch card types by dragging cards to another column (see image below). Add cards by copying them from another techpack! You can select 1 or multiple cards by clicking the check button on the top right corner of cards. Once they are selected, click on the action button and a drop down menu will expand (see image below). Click on Copy Cards and you'll be asked to copy those cards to either: this techpack, a new techpack, an existing Techpack, or add to your Favorites. Learn in-depth here. You can select 1 or multiple cards by clicking the check button on the top right corner of cards. Once they are selected, click on the action button and a drop down menu will expand (see image below). Click on Archive Card and you'll be asked to either: Delete or Archive.